Peppermint (film, 2018). A 2018 American vigilante action thriller film with "R" rating by STXfilms. Directed by Pierre Morel. Official Trailer. 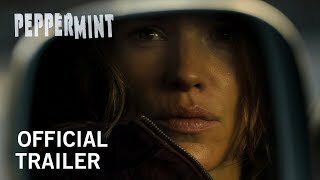 Peppermint is a 2018 American vigilante action thriller film directed by Pierre Morel. 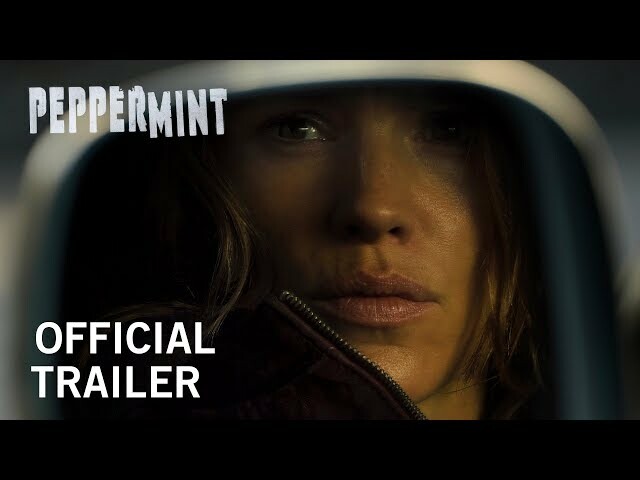 Peppermint | Official Trailer | Own It Now on Digital HD, Blu-Ray & DVD. A woman engages in a brutal fight with a man in a car and finally dispatches him with a shot to the head. Five years earlier, the same woman, Riley North, is working as a banker in Los Angeles struggling to make ends meet. Her husband Chris owns a failing mechanic shop. They have a ten-year-old daughter, Carly. Chris's friend tries to talk him into robbing Diego Garcia, a powerful drug lord. Chris turns him down, but not before Garcia has already discovered his involvement and ordered his men to make an example of him. Riley and Chris take Carly out for pizza and to a carnival for her birthday since no one showed up to her party. As the family walks to the car, Diego's men gun down Riley's husband and daughter in a drive-by shooting. She is wounded but survives. Despite her injuries, Riley is able to positively identify the shooters. The detectives handling the case are hesitant to pursue charges against the three, as they are members of Garcia's drug cartel, which wields considerable influence. Prior to the preliminary hearing, Riley is visited by the perpetrators' lawyer, who tries to bribe her. She refuses the bribe, but the lawyer notices she has anti-psychotic medication at home and uses this information to paint her as an unreliable witness. Judge Stevens, who is secretly on the cartel's payroll, declares there is insufficient evidence to allow the perpetrators to stand trial and dismisses the case, while the prosecuting lawyers do nothing. Outraged, Riley tries to attack her family's killers, but is subdued and ordered to be held at a psychiatric ward. En route, she escapes and vanishes. 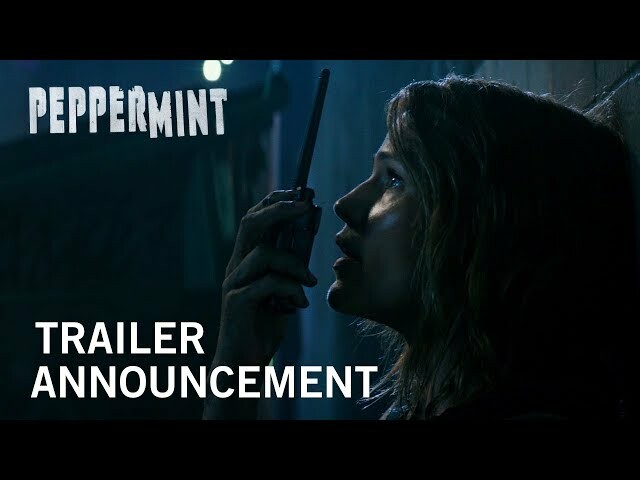 The film Peppermint was scheduled to be released by STXfilms on September 7, 2018 (United States) and on November 29, 2018 (Germany). The duration of the film is 102 minutes. With a budget of $25 million, the film grossed over $52.7 million. Peppermint got low rating from critics. But the audience likes the film. Audiences polled by CinemaScore gave the film an average grade of "B+" on a scale ranging from A+ to F.